Botanically, hops (Humulus lupulus) belong to the order of nettles in the hemp family. 1. 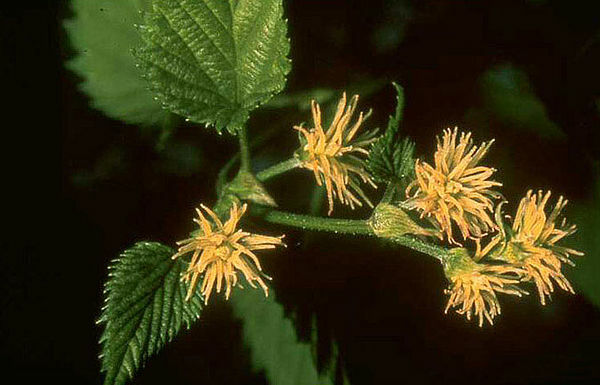 Hops are dioecious, meaning that only male or female flowers form on a single plant. 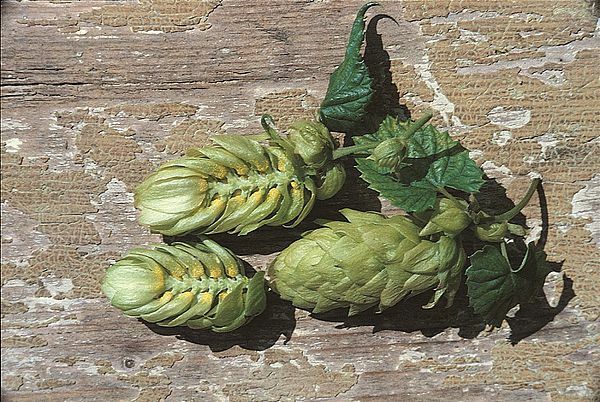 Only female hop plants are cultivated because the desirable cones only develop from the flowers of the female. 2. If cones are fertilized, this has a negative influence on the hops. In order to prevent fertilization, male (wild) hops are eradicated in the cultivation areas. 3. Hops are generally cut approx. 10–15 cm below ground level, depending on the variety, between mid-March and mid-April. The resulting cuttings (offshoots) can be used as propagation material for new plantings. 4. 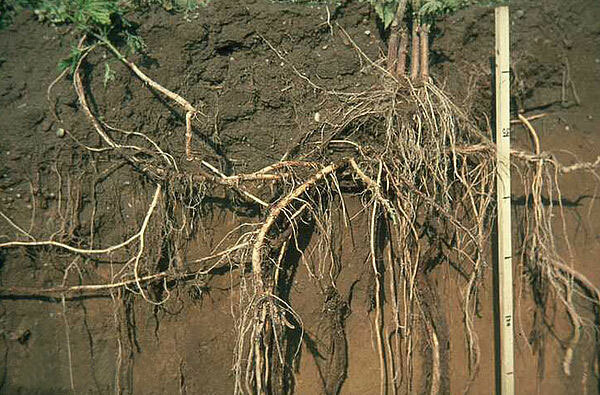 The rootstock is perennial, frost hardy, partly woody and has strong roots, which serve as nutrient reserves. Local varieties in the Tettnang growing region can reach ages of 40 years and older. 5. Hops require a framework up which to climb. In nature, they are primarily found at the edges of woodlands and water meadows where they climb up trees and bushes. In cultivation, black annealed wire (1.1 to 1.3 mm diameter) is usually used in Germany; in other countries, coir and paper string is also used. 6. On warm nights and under good growing conditions, hops can grow up to 30 cm in 24 hours and 8 m in approx. 2 months. For this reason it is also sometimes called the “world climbing champion”. Only giant bamboo grows faster. 7. Hops are short-day plants. Linear growth takes place as the days increase in length, with flower development beginning around 21 June as the days begin to decrease in length. 8. For each plant, three selected bines of equal strength are twined around the wire in a clockwise direction. The superfluous shoots are removed with a hop knife. 9. In the Tettnang growing area, each hectare can support up to up to 2,000 hop plants (or 4,000 wires). The bines (tendrils) are hexagonal and have stiff hairs to help them climb.